The Ghana Mobile Money is a fast, simple, convenient, secure and affordable way of transferring money, making payments and doing other transactions using a mobile phone. It is the largest payment method available in Ghana. Rave supports payment via MTN, TIGO, AIRTEL, and VODAFONE. 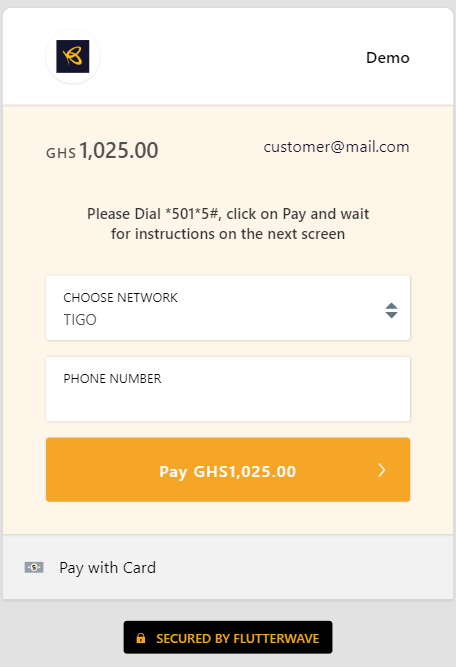 Mobile Money as a payment method is only available when your currency is set to GHS. 1. 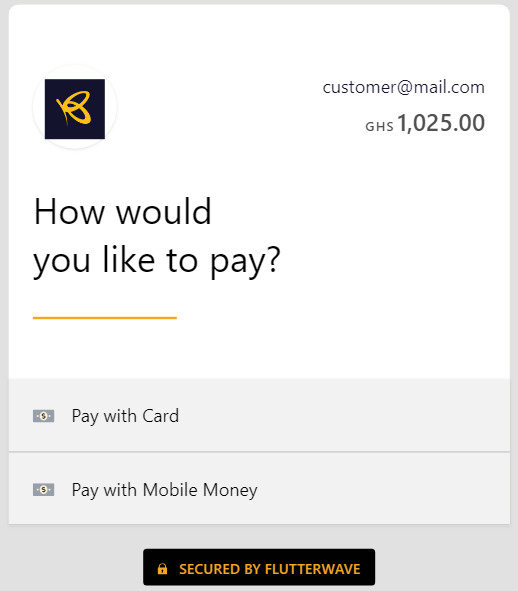 Simply click on the “Pay with Mobile Money” tab at the bottom of the payment modal. 2. Next, your customers are to select their ‘Network Provider’, input your phone number and follow the prompts to complete the transaction.